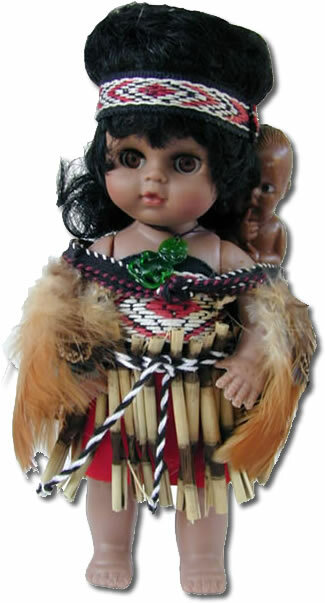 Maori Dolls New Zealand Souvenirs. 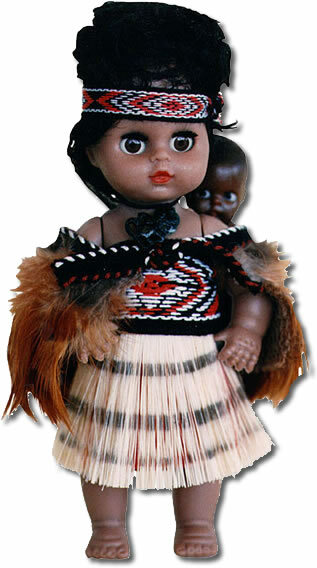 These Maori Dolls of New Zealand are dressed like the traditional Maori costume. 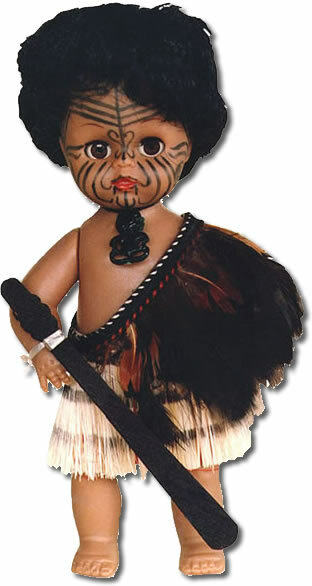 The dressing of the Maori was an a time consuming craft, Different tribes had their unique costume designs that also signified rank and status within a tribe. Headbands and Bodices were created and designed according to the recipient. The famous Piu Piu, skirts were made of flax, and scraped to form a pattern, after that they were dyed in mud pools. The beautiful cloaks that were worn were made of material suited to the climate the differing ranks within a tribe. Often personal greenstone necklaces or bone pendants were common. 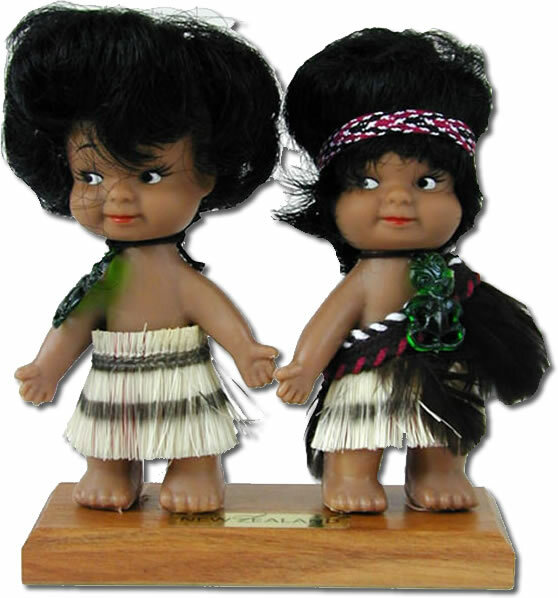 Great New Zealand Souvenirs & Gifts. 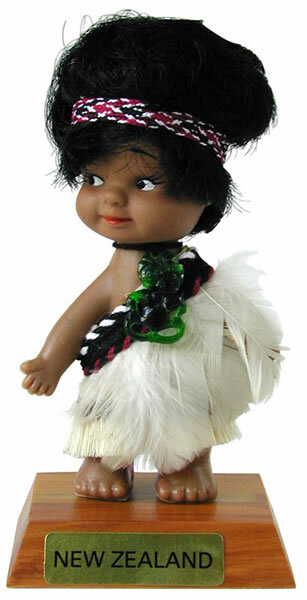 Many people love collectable Maori dolls, which makes these Collectable Maori dolls a very special New Zealand gift.